SSE Enterprise Telecoms, which operates a 12,000km+ long fibre optic and Ethernet network across the United Kingdom, will today launch a new “cost-saving consumer broadband access product” for ISPs called Scalefast FTTC that could help providers to launch better Fibre-to-the-Cabinet (FTTC) based packages. Local Loop Unbundling (LLU) is the process of freeing up an incumbent telephone operators (e.g. BT) exchange(s) so that rivals can install their own kit inside, thus partly bypassing the incumbent and allowing for greater product price and service flexibility (ISPs like TalkTalk, Sky Broadband and Vodafone have all done this). But the process isn’t cheap, particularly for fully LLU lines (Metallic Path Facility) that can give ISPs the most control. SSEET claims their new product could thus make it easier for ISPs to test in new regions, or scale-up significantly. We understand that everything will also be billed based on how much data ISPs transfer through those exchanges, thus potentially “making it a more financially viable option” in comparison to unbundling an exchange themselves. For business, the operator claims that Scalefast FTTC will enable ISPs to provide a network which is “resilient“, as well as a one that they can “easily control access to, to prevent oversubscription.” Admittedly FTTC superfast broadband products are slowly becoming a technology of the last generation, with “full fibre” (FTTP) now rapidly growing in importance, but no doubt it will still attract some ISPs and we’ll be interested to see what they make of it. The full press release has now been released and, due to other more important distractions today, I’ve opted to simply copy and paste it below. Service providers (SPs), particularly ISPs with a fibre broadband offering or those seeking one, avoid the heavy costs of unbundling BT Openreach exchanges directly and instead virtually unbundle them leveraging SSE Enterprise Telecoms’ existing footprint. SSE Enterprise Telecoms will provide the data backhaul and offer a flexible usage-based billing model. Business and consumer broadband providers will retain control, keeping their direct relationship with BT Openreach and maintaining buying power. The product is one of the first of its kind, and new to market, with a financially viable usage-based billing model, making it attractive in both the short and long-term. ISPs will benefit from the significant reduction to the CAPEX investment that direct unbundling involves. This speedier route to accessing exchanges also means businesses can test new regions more quickly. ISPs could be taking live customer orders within three months versus potentially longer time frames. Scalefast FTTC will allow ISPs to utilise SSE Enterprise Telecoms’ extensive network, expanding their footprint nationwide. Consumer and business broadband providers will be able to offer a resilient and business-grade network to their customers, whilst still controlling oversubscription, as multiple NNIs can be procured to contend with traffic. 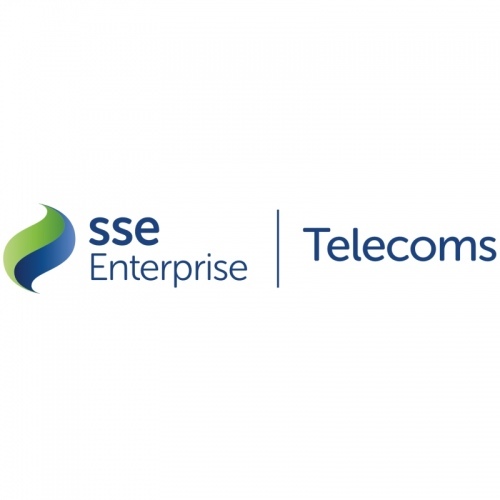 SSE Enterprise Telecoms has been steadily investing in its network through its expansion programme termed ‘Project Edge’. The latest phase, coined ‘Edge 3’, is made up of 177 BT Exchanges being unbundled in the coming year. Once the expansion plans are complete, Scalefast FTTC will offer virtually unbundled access to 733 exchanges, made up of 179 parent exchanges and 554 child exchanges. Colin Sempill, Managing Director, SSEET explains: “Scalefast FTTC is a solution that gives customers the ability to virtually unbundle BT Openreach exchanges at very little capital or operational cost. We’re able to roll out this disruptive solution due to our ability to deliver competitive reach and pricing thanks to our Edge expansion programme and our continued commitment to connectivity excellence. With this high capacity core network and backhaul, businesses and consumers will be better-placed to utilise FTTC broadband services via ISPs”. I guess there is still a market but its an odd choice in that its a market that is a dead man walking…. However, thinking slightly differently a lot of CP’s are supplying/resellnig FTTC using an all OR package. Presumably SSE have looked at the price model and think that it is the links (backhaul) where OR is making the best margin so have moved into that spot. SSE already announced a big push to the exchanges so this appears to be a logical extension that degree of fibre penetration. Bear in mind that the fibre could as well be going to an XGPON/GPON or an FTTC cab for all they care. Maybe this is also to position SSE as the backhaul provider of choice. Sounds good to be if there is competition to the PCP so the last mile really turns into the lasts 200yds in urban areas. I suspect it will change less than originally thought. The PCP will remain but go back to being an all passive fibre node with a GPON or the like inside it. As I see it OR muddled the thinking between new build and retrofit fibre in their early assumptions and so ‘rediscovered’ that following historical ducts etc was cheaper to rollout and is less disruptive. Anyway time will tell: SSE are a pretty bright bunch. Muddled. Not so sure. In an ideal world every network deployment (small or large – even down to an office internals) would be clean paper as you get the best optimal layout. reusing an old layout is as you say cheaper and OR seem to have decided for the pace of the rollout thats the right way to go but its bound to leave many really suboptimal deployments. We after all in many cases suffering in our FTTC/Adsl deployments over decades from OR just reusing the copper paths designed decades before the internet was even an idea. Rather reminds of Heathrow – its the dumbest place to have an airport – every sane person knows it but no one is willing top pay to fix that so we keep spending a fortune contriving ever more expensive and complex ways to kick that can down the road. I guess any competition has the potential to spur O.R. to get on with FTTP. This wont make any diff to OR. Just from reading the PR, it looks like they are intending to take GEA Cablelinks and backhaul them to the ISPs network (so, in theory, can support FTTP as well as FTTC from OR) that does allow some serious control of any oversubscription that ISP wants to build in. Once you get FTTC, the copper vs aluminium argument is pretty trivial. My parents have an aluminum line and still manage FTTC sync at 36Mb/s, which is more than enough for even a busy family home. Sure a full copper line is desirable and faster than aluminium, but for the sake of the short run of FTTC it’s not a big deal.